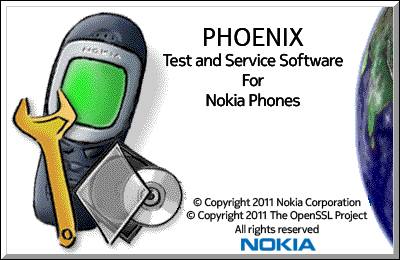 Phoenix යනු Nokia ෆෝන් එකකට software දැමීමට යොදා ගන්න ඉතාම ජනප්‍රිය මෘදුකාංගයකි. මෙයින් අපට අපගේ Mobile ෆෝන් 1 ගැන ගොඩක් තොරතුරු හා සේවා ලබාගන්න පුලුවන්. Nokia Mobile Phone 1කට Software දැමීම හා Software Upgrade කිරීම. අපගේ Nokia Mobile Phone 1ත අයත් Firmware Package 1 Download කර ගැනීම. Nokia Mobile Phone 1ක යම් දෝෂයක් ඇතැයි සිතේ නම් එය සැක හැර දැන ගැනීම. Nokia Mobile Phone 1කෙ Information ලබා ගැනීම. Nokia Mobile Phone 1ක Product Code වෙනස් කිරීම. Nokia ෆෝන් එකකට software දැමීමට පළමුව අප කල යුත්තේ ෆෝන් 1කේ product code 1 ලබාගෙන එයට අදාල Firmware 1 download කර ගැනීමයි. මෙයට Phone 1e Model 1 හා Product code 1 Google කර download කරගන්න. මා මෙහි සදහන් කරන්නේ Nokia E7-00 (RM-626) ජංගම දුරකථනය පිළිබදවය. වැදගත්- RM-626 යනු ෆෝන් 1ට අවේනික කෙතයකි. මෙය සොයාගැනීමට Nokia ෆෝන් 1කෙ *#0000# කොට එය ලබා ගන්න. ඔබගේ දුරකතනය RM-500 නම් Firmware Files දැමිය යුත්තේ "RM-500" නමින් යුත් folder 1කය. පසුව Phoenix Open කරන්න. ඉන්පසු ඔබගේ ෆෝන් 1 USB data cable 1k මගින් පරිගණකයට PC Suite/Nokia Suite/Nokia Mode අයුරෙන් connect කරන්න. දැන් Phoenix හි ඉහල ඇති connections drop down menu 1 select කර දුරකතනයේ connection 1 තෝරාගන්න. පසුව File මෙනුවට ගොස් Scan Product click කරන්න. 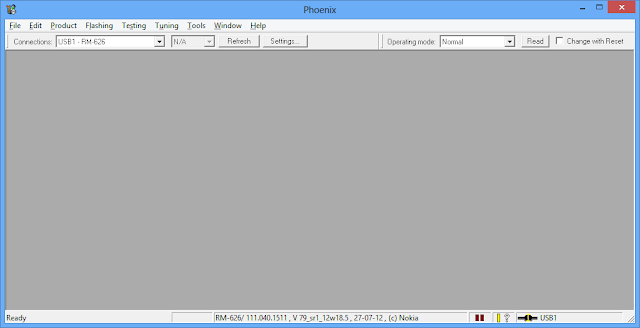 එවිට ෆෝන් 1හි තොරතුරු Phoenix වෙතට Load වේ. පසුව Flashing මෙනුවට ගොස් Firmware Update නෙමෙති 1 click කරන්න. එවිට පහත අයුරින් window 1ක් දිස්වේ. ඔබ හරියටම ඔබගේ දුරකතනයට අයත් Firmware 1 download කර RM folder 1ට දමා ඇත්නම් ඉහත රුපයේ ආකාරයට product code, SW Version හා Variant හි දත්ත autoම Load වේ. එවිට ෆොනේ 1හි Software Update වේ. ඔබට දුරකථනය Update වෙන ගමන් Reset කරගැනීමටද අවශ්‍ය නම් SW Reset click කරන්න. සියල්ල හරියට සිදුවී ඇත්නම් අවසානයට Software Updated Successfully යැයි පණිවිඩයක් ලැබේ. මෙය කරගෙන යන විට ප්‍රශ්නයක් මතු උනොත් admin@aluthsoft.com යන ලිපිනයට email කරන්න. 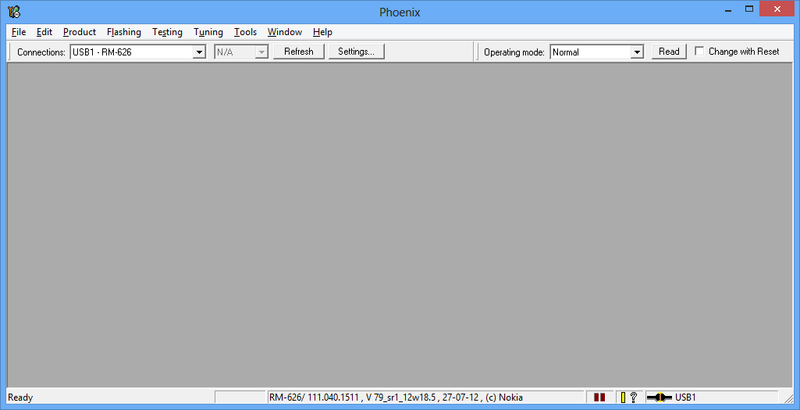 Phoenix මගින් කරගත හැකි අනෙකුත් දේද ඉදිරියේදී බලාපොරොත්තු වන්න.